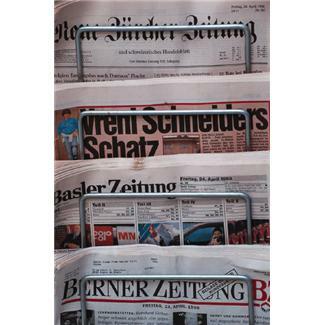 Last week I posted about the excitement of discovering some German newspapers in Google Books. The exploration has taken a fair bit of time, even without getting down to full transcriptions and translations. I thought I’d share some practical tips I’ve developed as I’ve gone along bearing in mind the limitations I mentioned in my previous post. I’ve been asked about how to find what you’re looking for and frankly that’s not nearly as simple as it sounds as this is not a Germanic version of Trove (sadly), however exciting the find. 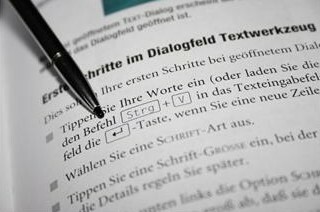 The critical thing to remember is that you are searching German-language books and newspapers so you need to use the correct German terminology (if necessary use a dictionary like Reverso). For example if you’re looking for someone who came from Munich you’ll need to search for München or Köln for Cologne. Similarly if your German ancestor’s name was Anglicised after arriving in the new land, you’ll need to search by their original name eg Hennig not Henny or Zöller not Zeller or Zoller (though the latter sometimes works). Other than that you need to be as lateral as possible and add combinations which might work. Try searching in combination with a neighbouring town where particular events may have been held. So for this purpose I was aware of Stadtprozelten, Kollenberg (Collenberg), Miltenberg or Klingenberg while looking for neighbouring Dorfprozelten. You can limit your search by using Google Books Advanced Search which lets you restrict the timeframe you search eg 1840 to 1870. However a word of caution –I found it better to search using the alternative option of the 19th century because when I used a decade limit, some items just didn’t appear even though they fell in that time frame. That was because the year-limited search is about when the book was published which may not coincide with the year of the newspaper. One option might be to search by placename + “Blatt” or + Zeitung as these searches might bring up more pertinent options. But as I said, be lateral and keep trying different options. I tried searching by the name of the newspaper plus the search term, and found it excluded options I’d found before. Analysing the text is important. I mostly focused on the books of newspapers but I also scrutinised the text provided by Google to see if it was helpful. This is a little easier as I have retained some of my high school German so can pick out relevant phrases. However you can still look for names and eventually you’ll get a sense of which documents are likely to be the most helpful to you. 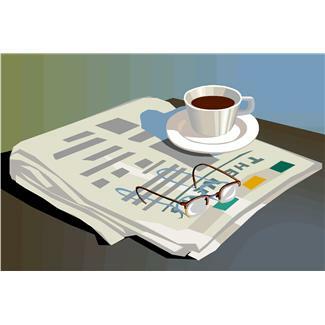 As mentioned I found the regional and local newspapers the most pertinent. If you know the specific time period you need you might choose to download the book and search visually as you would a microfilm. Searching within the document doesn’t seem to work as well as the initial search. I’ve yet to buckle down to a microfilm-type search. Check whether the found document offers one or more relevant images…it will tell you in the top bar. 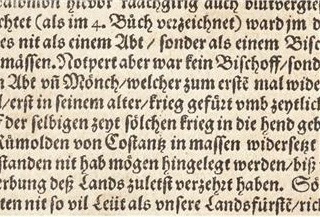 You are reading documents in Gothic print which means you have two adjustments to make (1) to read the font and (2) to read the German. For example the letter K looks far more like our capital N while the lower case could easily be confused with the single s, f or l.
Sounds simple really but perhaps I just went about it wrongly in the first place. I bookmarked relevant pages in Diigo and clipped to Evernote as well as downloading some files. This gives you a good sense of what you’ll be looking at. I was initially frustrated that I couldn’t print the page without downloading the whole (often large) book. Thanks to advice from a friend (thanks Rebecca!) I clipped print screen forthe image and pasted it to Photoshop. Why didn’t this occur to me earlier? This worked better and I would then crop the page to cut out the extraneous info but leaving the search term at the top and the name of the book on the left. This meant I had a record of both. I also clipped the extracted words from the Google search and copied and pasted them with the title of the book I’d found. This gave me (1) a guide to finding the phrases when it wasn’t highlighted (2) a time-saving of not having to transcribe all the words and (3) another record of the link to the book. I used the pen marker to sidebar the relevant words I’d found (not all are highlighted). After all that I enlarged the image to fit the page, saved it, then printed it out. While I had the book open I also clicked to save the link to my (Google Books) Library. I also scrolled up through the pages until I found the specific edition of the paper that this extract had come from and noted that and the page number on the printed page (I could have done this in Photoshop but it was quicker to do it this way). I added the page number and newspaper edition to the running file in conjunction with the above extract. I also added the name of the image file to the Word running file. Ultimately this should make it easier to transcribe then translate the document. You really have to persevere with this type of search. Similar searches produce widely different outcomes. Hyphens in the printing may skew your results. (eg Dorfprozelten becomes Dorf-prozelten or Dorfpro-zelten). I’ve found probably about 70% of the emigrants who left Dorfprozelten to come to Australia –as always not including my George Kunkel –but I’m sure the others are there somewhere, waiting for a tedious page-by-page search. And a new pair of reading glasses, before or after, not to mention strong coffee. Have you tried this search? What was your experience? Any tips for us? Images from Microsoft Office online. This entry was posted in Dorfprozelten research, Family History and tagged Dorfprozelten, German newspapers, Google Books, Reverso by cassmob. Bookmark the permalink. I can empathise Prue….still found nothing specific about my George Kunkel. I think I have had slightly better luck because I’m searching for the village and about 30 odd names…increases the odds. Herzogtum Nassau (1806-1866)”, by Wolf-Heino Struck. So that explains why I haven’t been able to find anything – because “Nassauischen Intelligenzblättern” is not available through Google Books. Plus, my ancestors emigrated in 1884 so they won’t be in that book either. My contact also explained that the one of the reasons for the advertisements was to prevent people who hadn’t paid off their debts from migrating. So I guess if Rudolf owed you money and you saw he was planning to emigrate you knew you needed to get round to his place quick smart and get the money! Great idea Prue!!! Now you know why you’ve been unsuccessful -I thought it might just have been the vagaries of the OCR. However now you know which paper you need in the event that you ever get to see the newspaper “in the flesh”. Perhaps someone might look it up for you? The ads seemed to go in about two months before the emigrants left, for the 1850s but may have been closer in time for the later emigrants. Yes,that was my understanding as to why they had to advertise too. I wonder though if my bloke was “doing a runner” to escape the military whether he’d have done it -I suspect not. Besides which his parents and siblings remained in the village so there would have been someone to get any debt recovery from. Questions Questions! I’ve found about three or four newspapers which included the details so I wonder if there’s any others you could target that might be online. I guess you also searched by their place of origin -which inevitably will give you masses of hits. I had been unable to find any good Rhine-based newspapers with any of the right kind of advertisements, which is why I sort of gave up and tried another tack. And actually, searching by place of origin was quite hopeless because all it came up with was travel writing and about the wines and the geology! Seems like I’ve given you a bit of run-around Prue. I’m sorry it didn’t work out for you, but as you see from my Fass posts, I fared rather better. No trouble! I’ve had plenty of other times when I’ve gone round in circles and found nothing at all!